In February 2019, UC Berkeley’s Basic Needs Center will open on the lower level of the Martin Luther King Jr. Student Union. The center is the first of its kind on campus. Kiyoko Thomas will be the basic needs manager at the center, the first person to assume this position. Thomas has been spending the past two months training to lead and manage operations of the center. The center will function as a “one-stop shop” for economic, food and housing resources, according to Thomas. Currently, most basic needs resources are scattered across campus, but the new center will be located in the student union across from the current food pantry. “I’m excited about having a brick-and-mortar Basic Needs Center and being able to have a site that’s in a central location that’s accessible to a large student population,” Thomas said. The office personnel will also include the food manager, a campus graduate student and seven student coordinators. 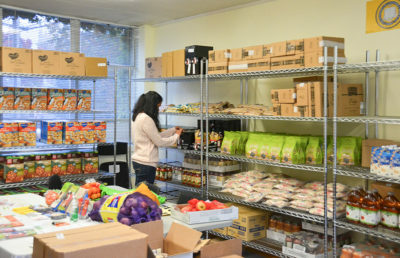 There will also be an office for the community partners, such as Alameda County Social Services Agency and the Alameda County Community Food Bank. CalFresh is managed at a county level, so campus will work with Alameda County to access services. The Tang Center is preparing to open satellite offices across the hallway, according to Thomas. The Basic Needs Center will be collaborating with University Health Services. According to Thomas, about half of her time will be spent providing case management for food, housing or economic insecurity. The other half will be spent on outreach to community partners. Thomas will also be helping students who do not qualify for CalFresh because of their undocumented status or inability to meet the income requirement. “There is a spectrum of needs, and we need to think of that and be as inclusive as possible,” Thomas said. Thomas has an extensive career in social work with children, adolescents and families. She is a licensed clinical social worker and previously worked with Seneca Family of Agencies. Thomas said what attracted her to the role was her background in mental health, which she feels overlaps with basic needs. 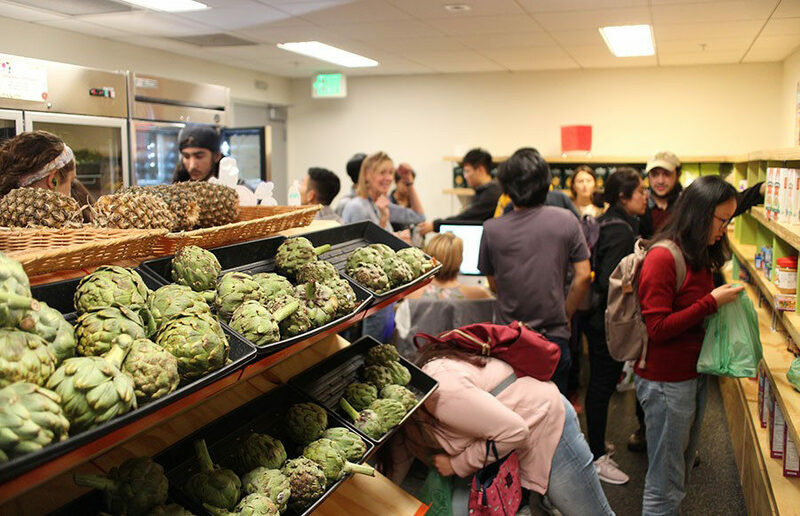 Ruben Canedo, the director of strategic equity initiatives for the campus Division of Equity and Inclusion and chair of the UC Berkeley Basic Needs Security Committee, said the Basic Needs Center has been under development for five years now. He sees the center as a “celebration of the generations of students that came together” to create it. “As we did research for that project, we found that other campuses had been doing work in little ways, so we said we need to do this together and across campuses so that we can learn from each other,” Canedo said. Canedo said his work is not over with the establishment of the center. He added that his dream is to redesign it based on Thomas’ observations from her work in the role once she assumes the leadership position. Canedo is working with Chancellor Carol Christ to create an “ideal” center, though he said this will be a large project that will take many years to complete. Sara Tsai, the Basic Needs Security Committee’s community programs coordinator, has been working with Thomas since she was hired at the beginning of the semester. Tsai said in an email that she is looking forward to having the additional space and staffing capacity to ensure the success of the center. 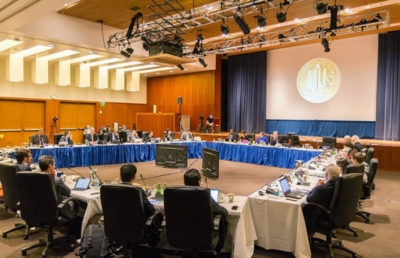 “Personally, I feel very blessed to be a part of this effort during these important milestones, which have been due to the generations of students, staff, faculty, and administrators who have fought for the resources and support to develop our basic needs services to where it is today,” Tsai said in the email. Isabella Sabri is the lead student life reporter. Contact her at [email protected] and follow her on Twitter at @isabella_sabri.